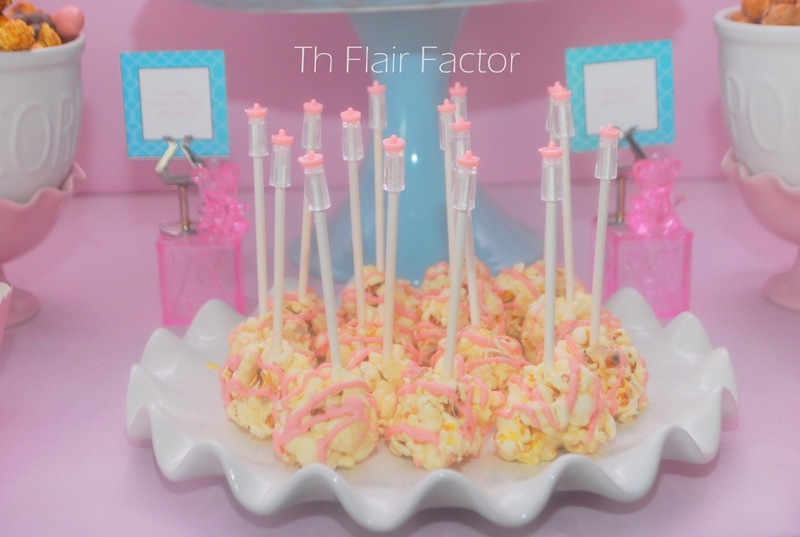 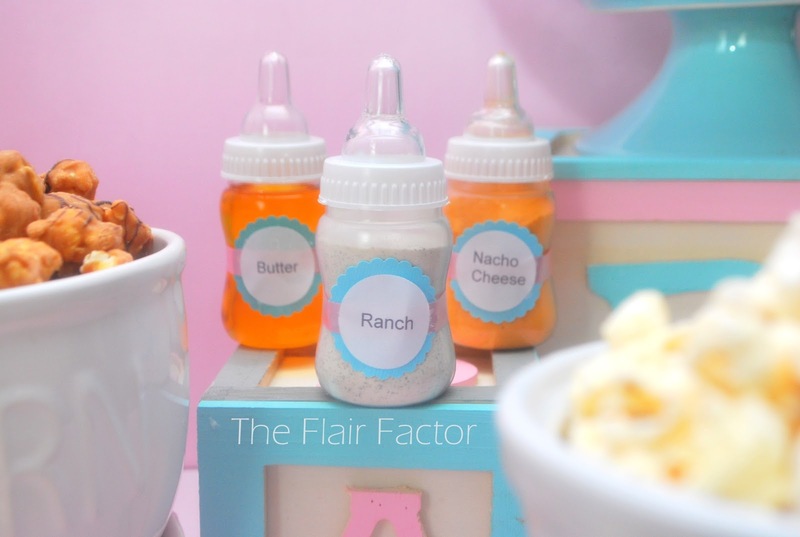 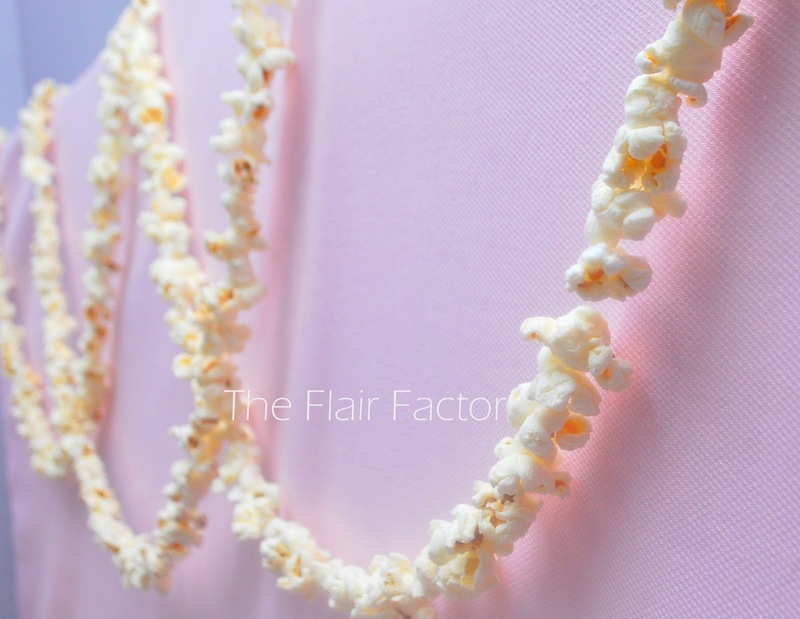 Try something different...opt for a popcorn buffet for a baby shower (or any event)! 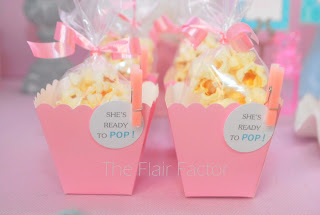 I always knew that I wanted to use the "about to pop" idea for my baby shower. 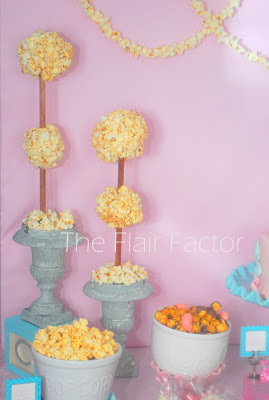 And I love popcorn, so creating a popcorn buffet worked out perfectly for my shower. If you enjoy eating all types of popcorn, this is the buffet for you! 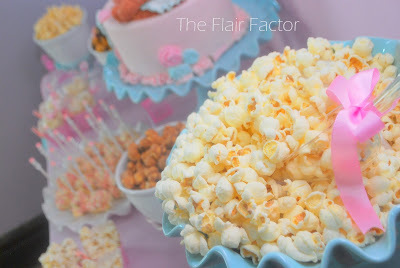 I find the popcorn buffet to be an economical alternative to a candy buffet. You can offer up a plethora of flavors to please all palettes, sweet, salty, spicy, savory, you name it! Here's what I offered, and how I added Flair to the display. Popcorn Ball topiary. 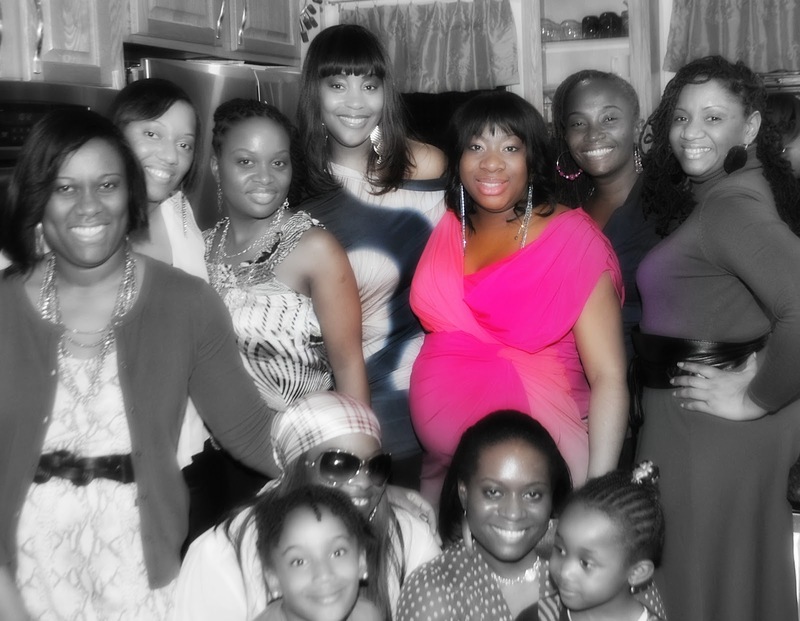 At the end of the night, these were no where to be found!! Various flavors of popcorn were offered including Asiago & Cracked Pepper, Caramel & Chocolate, White Cheddar, Peanut Butter, Chipotle & Lime. 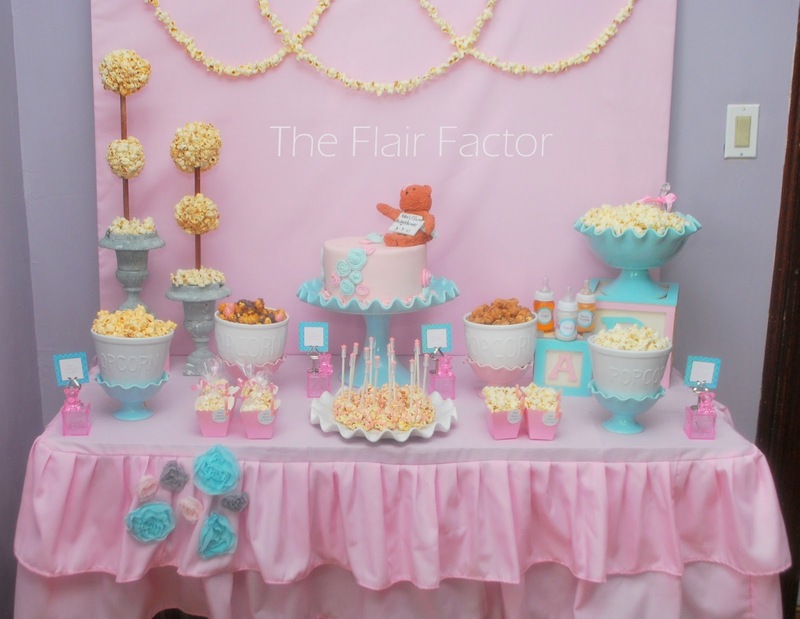 You dont' have to limit yourself to candy and deserts for a sweet ending. 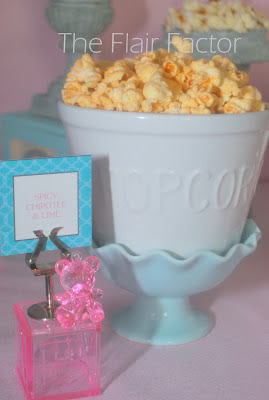 Popcorn can be sweet as well! Happy New Year All...(as I blow a bit of dust off of my blog)!! 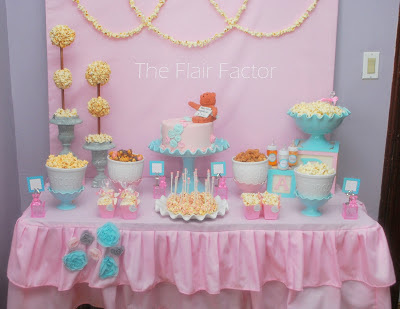 I'm looking forward to what 2013 has in store for The Flair Factor, that I'll share with you on Fete Fanatic. Between the baby and business..I should have lots to share! 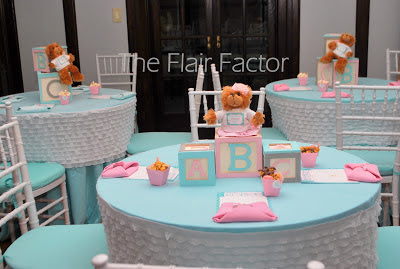 In fact, just the other day I received an inquiry about my baby shower and realized that I never shared photos on my blog! 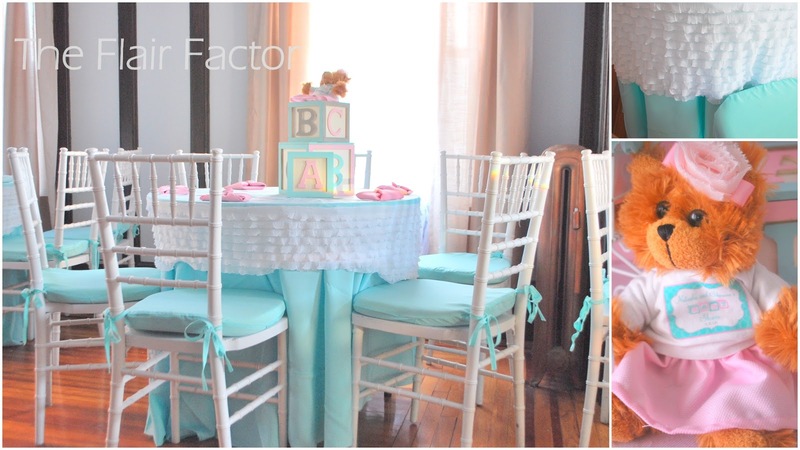 First off, let me send a big THANK YOU to Chris over at Celebrations at Home and Baby Lifestyles for featuring my shower! 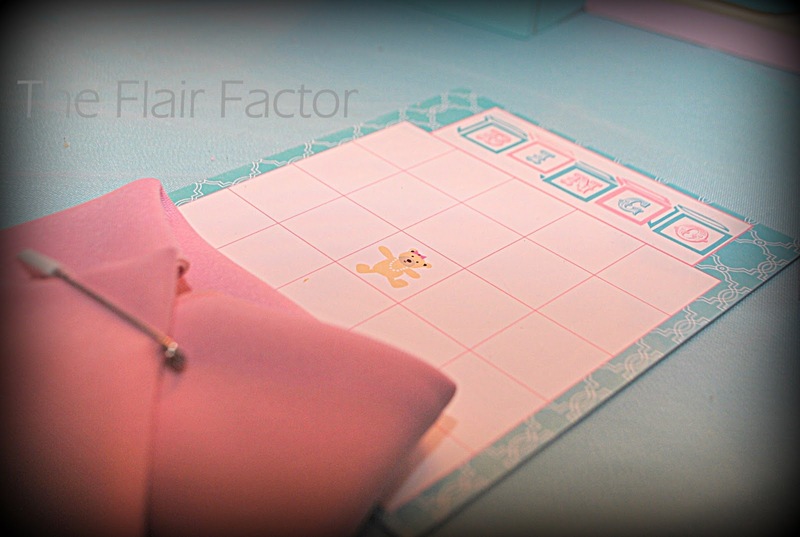 Please enjoy the details and photos below! 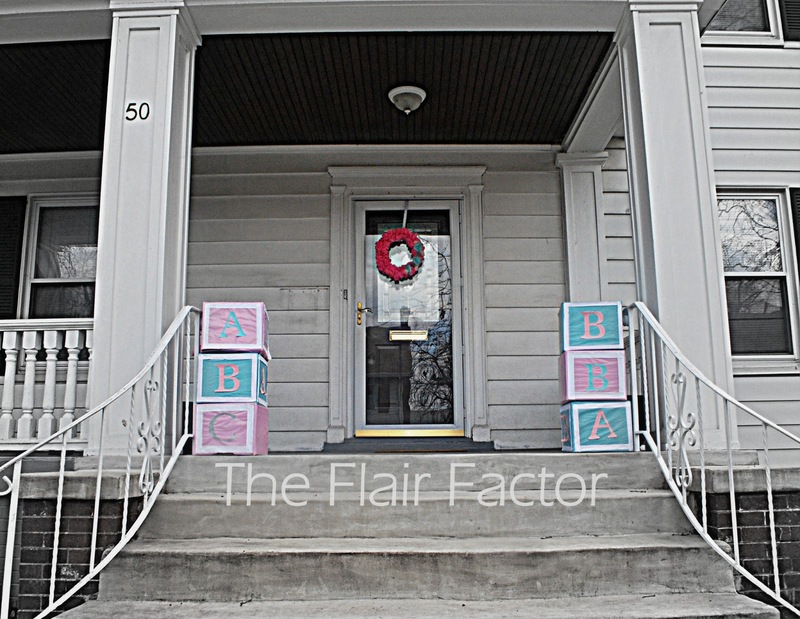 The theme.. “Building our family one Block at a time". 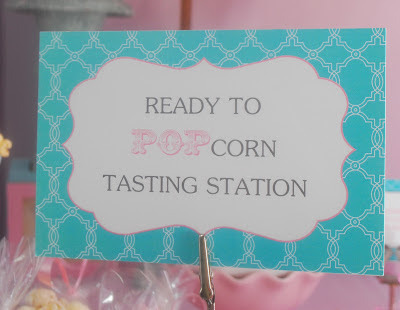 A celebration starts with the invitation, so I chose a modern style that gave my guests a peek at what to expect. 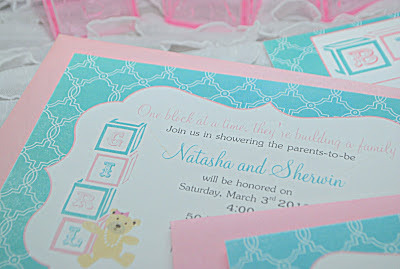 Christine of The Olive Branch Papery executed my vision for the stationery perfectly! Decor started at my front door with over sized building blocks which flanked the entrance of the porch, and a handcrafted ruffled wreath on the front door. Typically a family member or girlfriend plans a baby shower to honor the mother to be. 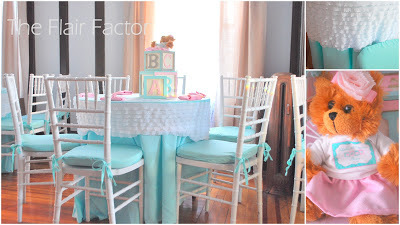 My shower was planned by my family and friends, but I just couldn't resist adding my styling expertise! :-) I customized unpainted building blocks with paint in the color scheme of pink & aqua (I love shades of aqua!). Expecting a baby girl doubled the fun when styling the shower. 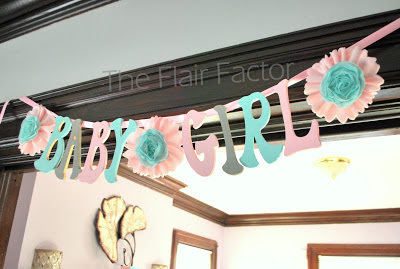 I absolutely love feminine touches, and knew that I had to incorporate girly elements. 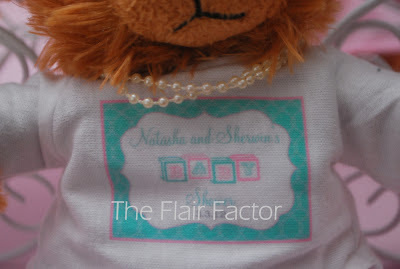 Along with building blocks and teddy bears, ruffles and rosettes were my style trend of choice. 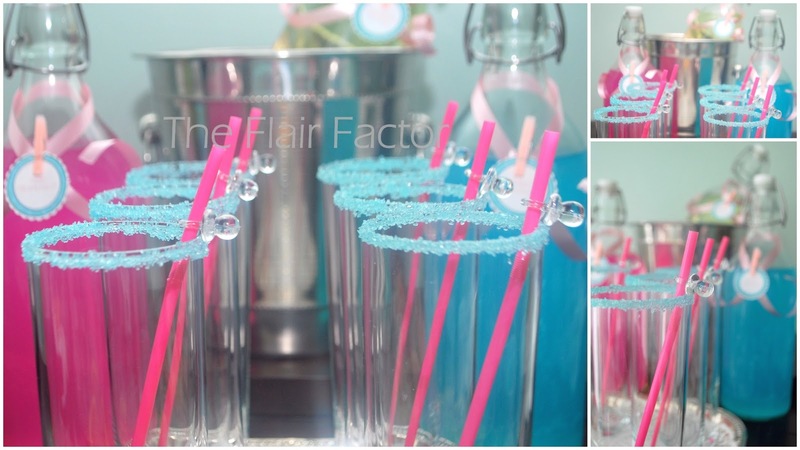 Guests were welcomed with a pink grapefruit or berry lemonade spritzer with tiny pacifiers adorning the drinking straws. 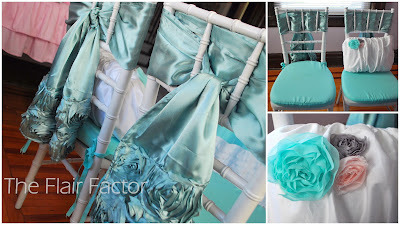 Tables were dressed in fitted white ruffled table toppers which I designed to accentuated the aqua linens. The centerpieces were hand painted building blocks with teddy bears dressed up in little pink skirts, a rosette bow, and a signature logo tee which matched our stationery. Ruffles and rosettes were incorporated into just about everything.. the cake, signage, table linens, guest of honors chair sashes, custom pillow (for my back)…Everywhere I could put them!! 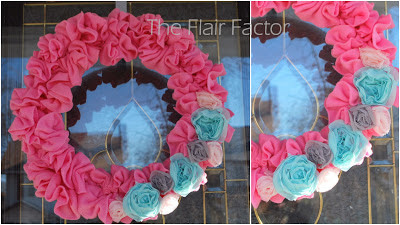 Prizes for the shower games were wrapped in the colors of the shower and doubled as decor on the fireplace mantle. 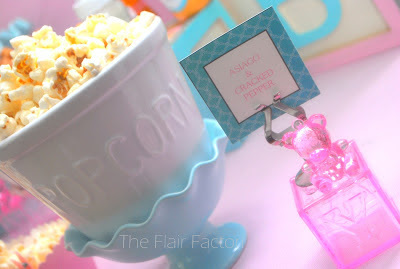 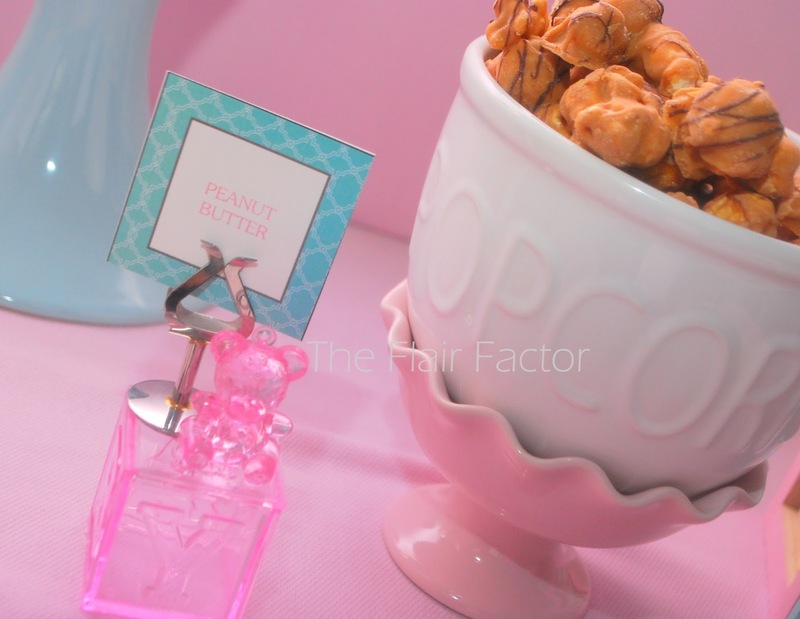 Popcorn Display will be featured in a post to follow!